At age 8, my kiddo is too big for this book (which I received as a review copy), but she loves maps and I can imagine this book would have appealed to her when she was younger. I like that the book brings animals into the curriculum. 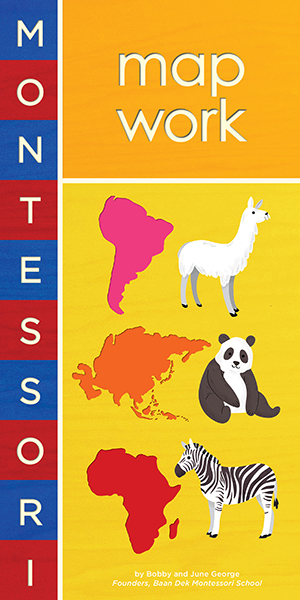 The emphasis is on mammals, depicting the characteristic megafauna from each continent, but also includes a bald eagle, toucan, penguin, albatross, cockatoo, swan, and cobra.